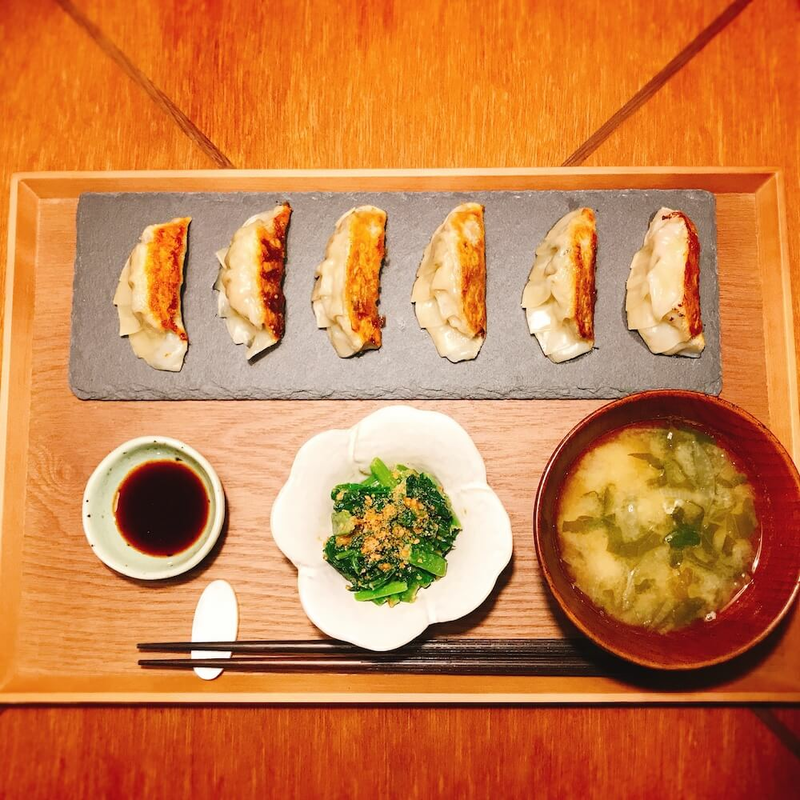 Gyoza(Japanese dumplings),miso soup,seasonal green vegetable with sesame paste, rice, Japanese dessert. 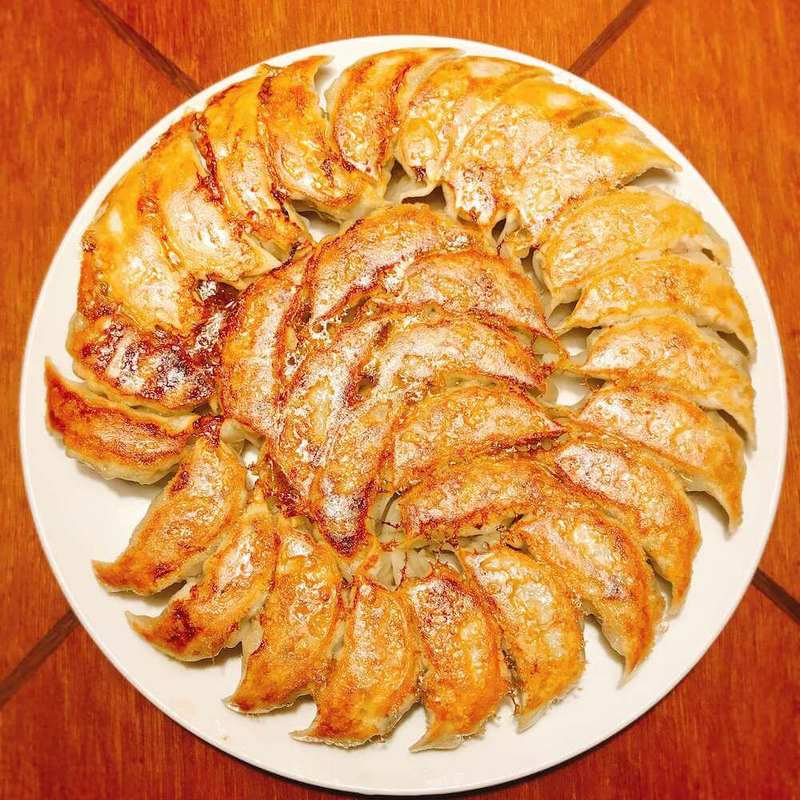 In this class, you will learn how to make Japanese gyoza. I’ll teach you how to wrap it properly and show you how to cook it perfectly! 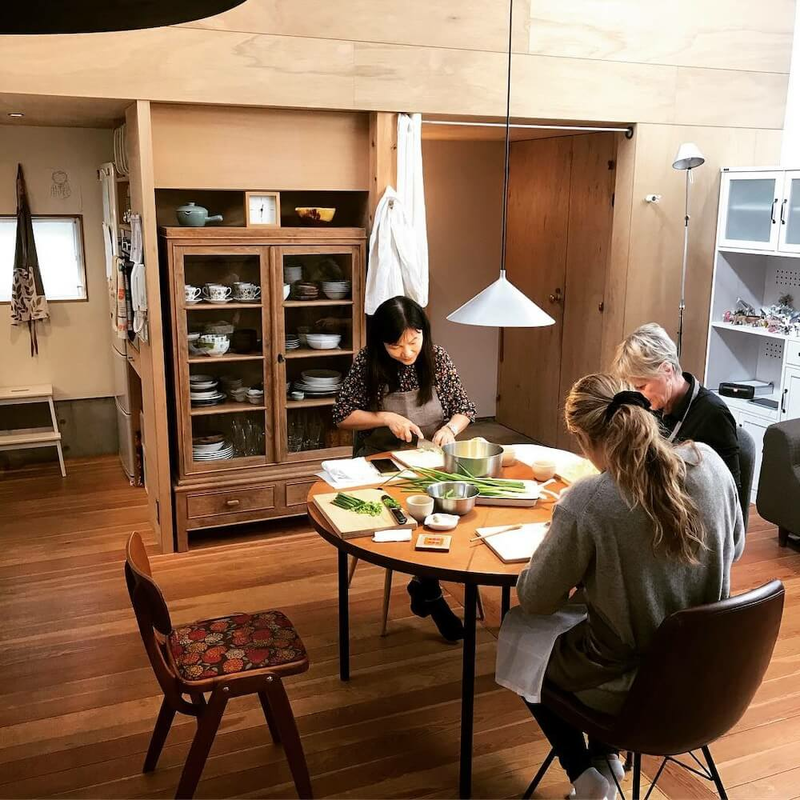 Also I’ll show you how to make miso soup, green vegetable with sesame paste which are traditional Japanese dishes. Hi, my name is Takako. I grew up in a Sushi restaurant in Japan as my dad is sushi chef. 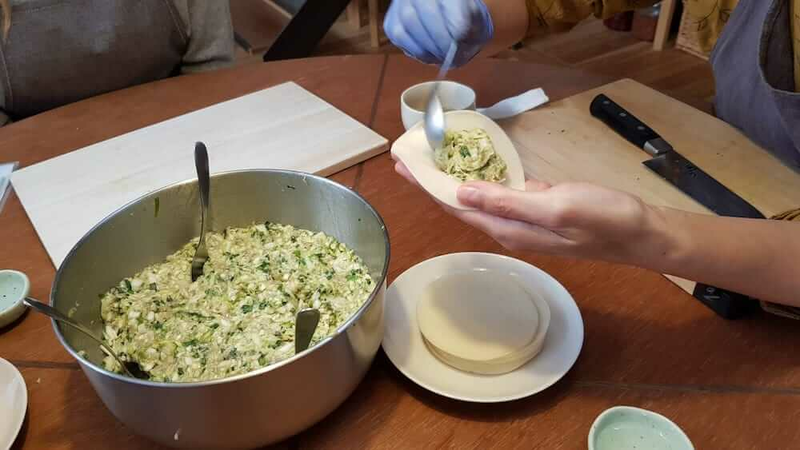 I’ve been interested in cooking since I was little and I'm still passionate about cooking everyday. 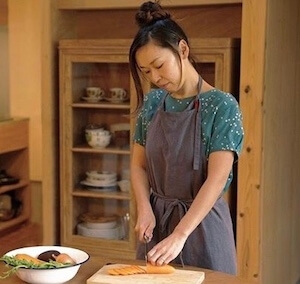 I lived in London for 20 years and taught Japanese cooking to my friends. 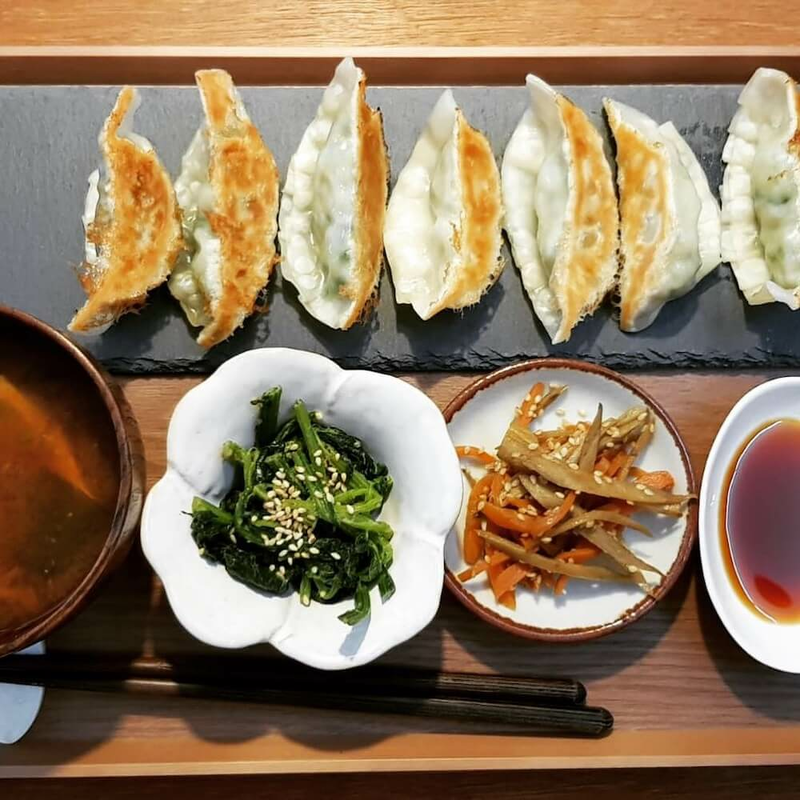 I am experienced with vegetarian, vegan, gluten-free, macrobiotic and of course traditional Japanese food, so please let me know your interest. My home is near Inokashira Park, which is world famous for cherry blossoms and autumn colours; as well as the popular town of Kichijoji. I can also recommend you fantastic restaurants in the area. 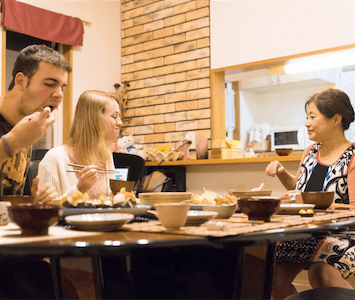 Takako san is a good teacher, speaks fluent English and I enjoyed learning at her lovely home. She prepared her lesson well and instruction was cleared. I am very happy and I'm sure every students will feel comfortable with her lessons too. 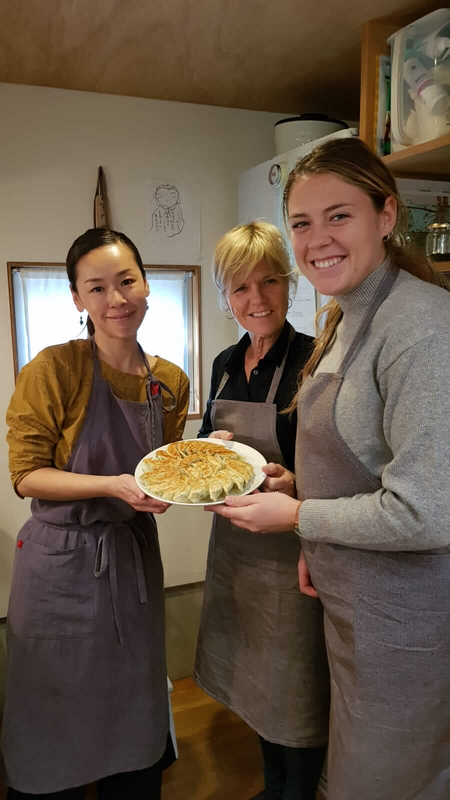 We learned to cook gyozas, Takako explained it very very good ,the environment and the house were lovely , thank you very much again Takako !!! 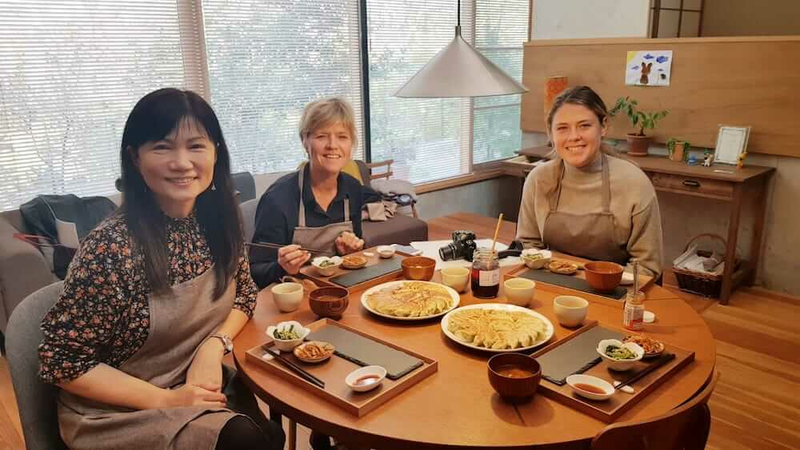 Hi Takako, we had a great time today, starting from the walk through the park and to your lovely home. We were impressed by how prepared you were and your encouragement through the whole process. 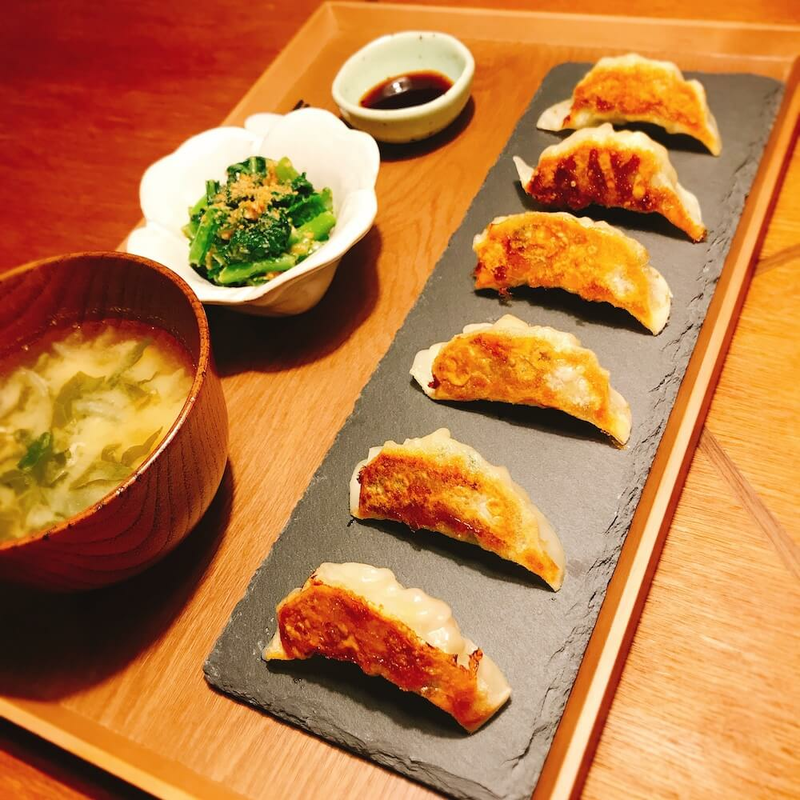 We enjoy cooking proper Japanese gyozas along with a wonderful salad dressing for a salad and miso soup. 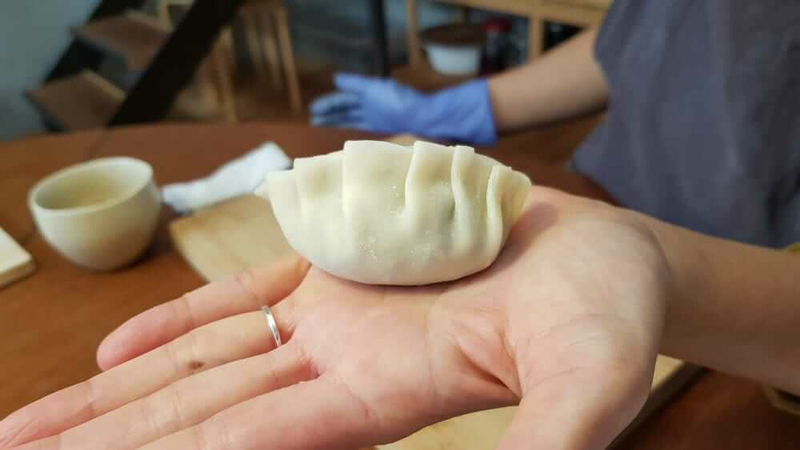 The process was well explained and we are now confident that with a bit of practice we will be making gyozas in our own home as good as you do. 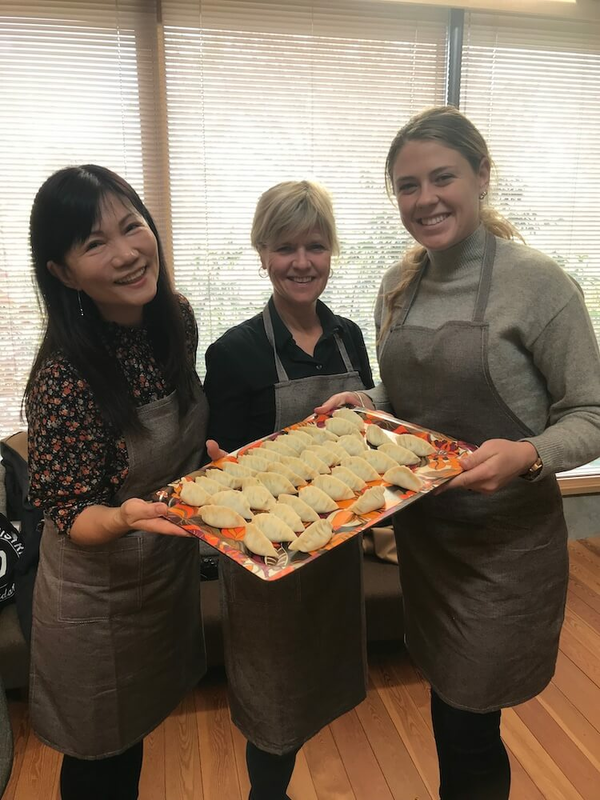 We are looking forward to book ourselves in another cooking class next time we are back in Tokyo. Thanks for everything, it was so great to meet you.